products you will be also. This is what we can do to your energy bill! Call or email for details. Thinking of installing solar? In Arizona? Make your home efficient before you add solar! Click here for solutions on how to lower your demand charges. Building New? Remodeling? Need to turn your patio into a comfortable living space? Make your Arizona room comfortable during the summer using ductless technology. Click here for more information on how to build the most efficient, comfortable home in a hot climate. 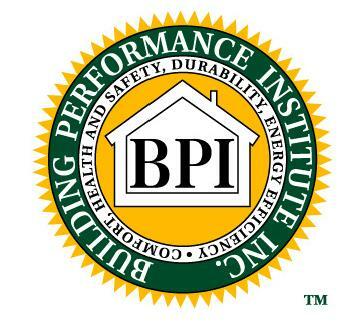 A BPI certified home inspector will evaluate your home, identify problems and write you a succinct proposal for the solutions. The time has come to move quickly on making decisions to reduce our consumption of finite, fossil fuels, propagate renewable energy and nurture our planet. All of us are caretakers and have a responsibility to make changes at every level and inculcate into our children and others, by example, a move in this direction. We must immediately address archaic building codes which are not climate specific and begin using available proven technologies as found on this site. We need to move now to build more energy efficient, sustainable and comfortable homes and buildings. Our proven products will help you meet these goals. Before building, buying or remodeling, read this web site thoroughly and please be prepared to "think outside the box". Our raw materials, parts, machines and innovations are proudly made in the USA. Copyright 1997-2019 all images, text and HTML copyrighted by Horizon Energy Systems. respective companies or mark holders.